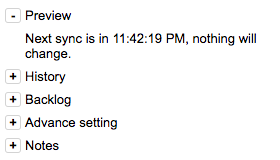 To setup Contact Sync, visit to Setting panel, , on the sidebar and then click Contact Sync Setting. If you have not grant read and write access right of your Google contact to Yathit, a grant permissions link will appear in the setting panel. Click Grant link, to open popup window that allow you to give Yathit access to your contact. Click Accept. Update Google Contacts: Yathit will update that is already sync Google Contact. Create Google Contacts: If check, Yathit will create a new Google Contact as necessary. Delete Google events: Delete the Google Contact event that is sync with Sugar record of deleted. 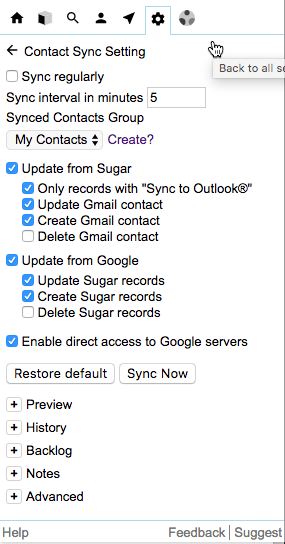 Update Sugar records: For Sugar Contact, that is already sync with Google Contact, to update if the Contact is updated. Create Sugar records: If check, Yathit will create a new Google Contact as necessary. 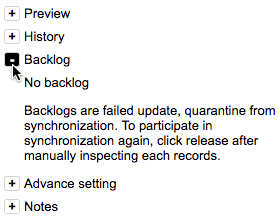 Delete Sugar Records: Delete Sugar record that is sync with Google Contact of deleted.